If you've ever been inside a non-name-brand pet store, you might have wandered by a cage full of little rodents. Mice or rats, mostly babies. Crawling on top of each other. Barely room to breathe. And perhaps a few displays away there are also mice and rats, for sale as pets, in more comfortable surroundings. What's up with the overcrowded rodents? They are feeder animals. They will be bought by snake owners, and fed to the snake. They live their lives out in filth and discomfort, and end it between the jaws of a small-brained reptile. 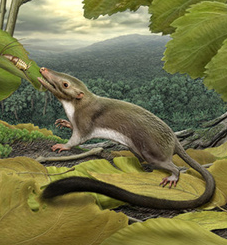 That animal (Protungulatum donnae) was thus your great-great-great-etc.-for-a-while grandmother, it was also a great-great-great-etc.-for-an-even-longer-while grandmother to today's mice and rats. Technically, therefore, we, mice, and rats are cousins, several times removed. The inquiry into the common ancestor of snakes and humans is basically ungooglable, mainly because nobody in their right mind cares. 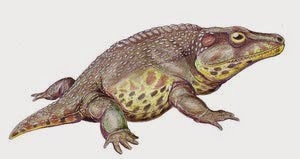 In fact, we know that the common ancestor lived more than 315 million years ago, because by that time, there were already synapsids (an umbrella group that includes our ancestor mammals but not reptiles) running around. So the difference is at least 250 million years worth of generations. You can look a rat in the eye and empathize with one another. Some people think that a rat has about the same intelligence as a dog (of course, some people don't). And rats can do some pretty cool tricks. Although mice are not as intelligent as rats (at least in the way we humans tend to measure intelligence), you can look into their eyes and reach an understanding, of sorts. Can't do that with a snake. Snakes are scaly and alien to us. And there's no snake in this picture. So if you're thinking about getting a snake, just don't. There will always be people in this world who think nothing of feeding mammals to reptiles. But if you haven't thought about it in these terms, and it disturbs you, then you and I are alike. Just get a pet rat instead. Maybe even choose from the feeder rats. Sometimes these are actually just unwanted former pet rats. You won't regret it. Rats are much cooler than snakes. Note at the beginning I said "non-name-brand". That's right. PetCo and PetSmart are a bit more humane -- they don't sell live mice and rats as feeders. But they will sell you pre-killed mice and rats, I'm told. So that's not really all that much better, is it? and do you really believe thats reduced to no brand pet stores? the commercial business around selling pets is cruel any ways no matter its a small no brand store or a big brand store! the animals especially the rodents are breed on breedig farm under lowest condition possible. the conditions are that bad many of them dont survive, to the ones that will survive there comes the day that make them to sellable ones or just frozen feeders. the first will be packed into paperboxes and send to petshops where they are on display, the others are thrown into plastic boxes or bags and gassed or just frozen alive and also send to petshops where they are stored in freezers and selled as ethical correct frozen feeders! and better dont ask about the ones that arived thepetstore alive and wont be buyed before they reach an age that make them unattractive for the costumers or maybe got some kind of illness, these animals will be used as feeders for the reptiles the store has on display or just end into the garbage bin. any healthcare by an vet would make them to expensive to still make some money with. the calculation is 2 selled animals of 10 animals of one species in the store is still a win so there is no need to take much care about them! believe it or not but that is the common way! Thanks for your comment. Of course you're right that the name-brand Pet Stores are no better -- they just keep the cruelty hidden. In fact, I'd venture to guess that because their practices are hidden, they are probably even crueler than the non-name brand stores. As soon as big business is involved, everything comes down to profit. I'm sure, as you say, they've reduced the practice of raising rats for snake food to a science, and I'm also sure that it's a science that gives no consideration whatsoever to the plight of the rats. That's how capitalism has always treated animals -- they are simply one more "factor of production" (http://en.wikipedia.org/wiki/Factors_of_production). If there's a way to reduce a cost at that point on the assembly line, then business will find a way to do so. And here, the market is the market of snake-lovers (herpers, they call themselves), who (if they've given the matter any thought at all) must think that the comfort and "cool factor" that they derive from owning a reptile is somehow worth all the suffering that it creates and causes in rats and mice. I personally think that there must be something deeply wrong with such people, and it pains me to think that there are so many of them in the world. i can accept you dont like snakes olr at least keeping them as pets, thats your very own decission and you have the right for! but its not correct to say all or most "herpers" are that sick selfish people most of them have a real interest for the animal and also for what they do feed to their pets. also most of them will see the procedure of feeding as a nessesary thing they have to do and not more. of course ther are herpers that feel satisfied by feeding their pets too but thats not the majority of them. sadly exact these people are the ones that you get into your mind because many of them use the internet and places like youtube as her personal stage to show their they mean cool stuff to all the word. the majority of herpers never would do this so anyone got a wrong picture of the situation. Thanks for writing -- I might have overstated the case against "herpers" by suggesting that there must be something deeply wrong with ALL of them (although it sounds like based on what you say, we can agree that there is something deeply wrong with SOME of them -- the ones who genuinely seem to get off on the cruelty of it all. And I agree with your point about slaughterhouses -- that's why I eat practically no meat. That's another example of what I was trying to say about how when capitalism gets involved, cost reduction becomes a science, and extreme cruelty to animals can be a byproduct. And I have come across some herper forums where herpers talk about how well they treat their rats -- i.e. how the rat really doesn't suffer all that much. And it's quite clear that these herpers genuinely think that they are being humane. But I still hold them responsible for the back story. I don't really know the numbers, but let's say a snake needs to eat 1000 rats in its lifetime. Those 1000 rats have known little but hunger, discomfort and pain their whole lives, all for the sake of one pet snake. And that's not even to mention the hundreds or thousands of additional rats that died in the process of producing that 1000. Every herper should feel responsible for the pain and suffering in thousands of rats caused by the demand created by his or her desire to own a single slithery snake. If they can live with it, I suppose that's their business -- we all know that animals have no rights in our society. But maybe they haven't thought about it in these terms. I'd like to persuade as many people as possible to stop becoming herpers in the first place. It could be that many people just don't tend to view rats as our kindred mammals. That's what this post was designed to help people see. yes i absolutely understand your mention for that post but my personal experience is you need to be most ojective as possible and add all the background information you can get. it dosnt help to point the finger on every single person that own a reptile, the only effect this will have most persons will think "oh no, not a odd hater again!" and refusing to read the post and think about the facts. next problem is you never will hit most peoples mind because we humans of today have learned to ignore the bad behind the things a litte to much. you will only get the ones that already have complains about and for this reason dont own a reptile that needs to eat other animals. i know its sad but that is how it is. the best herpers can do is to buy a hand full of rats and start to breed them by them self for feeders that will cut the need for supporting the cruel industrie behind pet/animal trade. sadly the major problem is everyone that bys an animal at a petstore is supporting the industrie no matter its a herper or a parent that buys a bunny for the daughter. if you want to stopt the cruelty you better should to try bring people to stop buying animals at pet stores and look to classifieds for them that is the only way to reduce or even stop the industry behind. Agreed. Let's hope that anyone reading this checks the classified ads (or Craigslist), or a shelter, before buying a rodent -- or any other pet -- from a pet store. I'm fine with you not liking snakes. You could even hate them and i'd still be fine, because everyone has their favourite or least favourite animals (I for example can't stand dogs for the most part, but that's not the point here). Reducing snakes to mindless beings, denying them any kinship or soul and placing them under other animals just for what they are is where i start to feel seriously offended, though. Saying that there is nothing in the gaze of snake, i find unfair, simple-minded and extremely insulting – as someone who made a deeply imprinting childhood experience with the gaze of wild king cobra in which i could see more intelligence than in the eyes of some human (and that was not only the child-me which could be easily impressed – you'll find many other people making the same observation when it comes to king cobra eyes). Close kinship is no reason for me to prefer one thing over the other. For example, i find it lot easier to trust and bond with animals than with humans, though following your kinship argument, i would have to prefer humans since they're so much closer, right? In terms of „affection“ - snakes sure don't „bond“ with people the same way cats or dogs or some rodents could but i feel that snakes (and reptiles in general) are far more intelligent that people give them credit for. I've come along snakes which were friendlier animals than some dogs and yes, believe it or not, snakes are in fact individuals that can have as much character as any mammalian pet out there. I've known shy ones or snakes with attitude (and those which were just natural jerks), while i also came across others which would actively search for contact and curiously approach you as soon as they realise your presence (because they combine your presence with food, a.k.a. a positive experience). Also, even though they probably wouldn't miss you when you'd disappear for a week – they do know their owner. They know their smell, they know their habits – it shows, when they for example are handled by a stranger. As for the feeding aspect, i find it a tad hypocritical to blame snake owners for feeding them mice and rats while leaving out all the dog and cat owners at the same time. Because seriously, if you start with the ethics of snake keeping and snake feeding, you can as well continue with dog and cat food – the meat they get also used to have feelings and compassionate eyes (and they most likely have it far worse than every feeding mouse out there. Also, it's WAY more cows that have to die not only for us but also for our cats and dogs since we, as mammals need to eat so much more frequently, in comparison to reptiles. A grown corn snake is perfectly fine with ONE mouse within all TWO weeks, which again speaks for the snake). The thing is: Every carnivore needs to eat meat, if we like it or not and one animal will have to suffer for the sake of another. I do understand that mouselover are not keen of snake keeping, but then again, you should also consider dog and cat feeding just as cruel. On a last note, a few words about me: Yes, i do own a snake myself. I don't own it as a fake pair of balls but because i love these animals – and caring for this snake taught me more about its kind than any book or movie could. I'm from Germany where life feeding is forbidden and only allowed in extreme cases. The wellbeing of my snake is my number one priority which is why i of course DO care a lot about what he eats. A snake, in fact, is only as healthy as the food that he gets, thus, it goes without saying that this also applies to the mice i feed him. Thanks for writing such a thoughtful reply. I think I already admitted above that I may have overstated my case against snakes a little bit. All animals -- including reptiles and even insects in my view -- are entitled to our respect and admiration. Overall, I just feel more kinship to mice than to snakes, although I'm sure I could learn to love any given individual snake. My overall point is still that owning a snake -- no matter how worthy of respect it is, or how much it can teach us -- costs the lives of many many mice and/or rats, who, as I said, live out their short lives in misery and squalor and end them in paralyzing fear. Even at one mouse every two weeks, that's still 26 mice a year, and thus potentially hundreds of mice over the lifespan of a single snake. And yes, most of us, including me, are all a little hypocritical when it comes to our treatment of animals. I'm mostly a vegetarian (see my other posts), but I'm aware that the cheese I eat and the eggs (even the free range ones) only got to me as a result of unspeakable cruelty committed upon animals. But back to pets. Owning a dog or cat causes a lot less suffering (I believe) than owning a snake. I don't think any livestock is raised and killed just to feed pets -- I'm pretty sure pet food is just slaughterhouse byproducts that humans would not eat. So in that sense, feeding dog food to a dog does not have any effect (positive or negative) on the demand for meat, and the suffering of cows and chickens. And if one owns a rescue dog, one is on-balance probably alleviating more animal suffering than one is creating. So I guess my bottom line is still that owning a snake causes a lot of suffering in creatures that are not all that different from us. Yes, such creatures seem to be born to suffer (at least when bred by humans), but my point is that if there were fewer pet snakes, there would be less suffering. But I do appreciate that you try to keep your mice healthy before you feed them to your snake. You sound like the best kind of snake owner we can hope for, and I'm glad that you took the time to write. - You said that dog/cat food causes „less“ suffering. But ask yourself: does it really? Even though the cows and pigs and chicken „die anyway“ for us (and isn't it just a cruel thing to say? That they die anyway?) – they still die. They still suffer. For the most part, they are still kept in extremely small cages where they can't move and never see the sun, they're crammed with antibiotics and live their equally short pitiful lives just to get killed (and of those, thousands more than all rodents together each year) and land on the shelves where they don't resemble an animal anymore but are just reduced to meat. And the rest, well, that goes to the cats and dogs, as mentioned, being reduced to „natural waste“. Isn't that just as horrible? And, one has to be true to oneself: There is only a small percentage of people who actually do care what their cats/dogs eat and where it came from. They will buy the cheap ones and those do not came from happy cows (I know that because i also happen to own a cat – so i do happen to pay attention). - What most people also don't know is that many brands of dog and cat food actually are involved with animal testing, where dogs, cats and birds are again held in bad conditions, forced to eat the food and getting killed later on. There are plenty reasons why this happens (testing on vitamins and diets, getting advantages in the market, etc.). Again: We have suffering (most ironically, it's the cats and dogs themselves here). In comparison, i have never heard of animal experiments when it comes to snake feeding because they are perfectly fine with the rodent just the way it is. - When we speak of suffering, it doesn't end with the whole feeding topic. It goes much, much further than that. You unconsciously mentioned it yourself already: Rescue dogs. With the keeping of dogs and cats, there goes along millions(!) of animals that eventually land in animal shelters. Dogs, who got too big or too dangerous to keep, cats that destroyed the tapestry, in short: people not able to care for their animal anymore and getting rid of it and this happens to far more cats and dogs together than snakes due the former being so popular (though snakes DO land in animal shelters as well, of course). And it's animal shelters when the animals are lucky. Many other times, they're simply abandoned on the road which in some countries led to serious problems. Thailand for example has millions of pariah dogs straying around, many of them in horrible condition, aggressive attitude to humans and diseases. Free roaming cats are a serious problem when it comes to their pressure on wildlife (in Europe they are responsible for countless bird kills and it's even worse in Australia, where they pose a serious danger to the endemic wild life). To be fair: That also applies to snakes to some degree, as there does exist an invasive population in Florida who are believed to be offspring of captive ones that got released by overwhelmed owners. But again – it bears no comparison to the amount of abandoned dogs and cats. - Breeding. 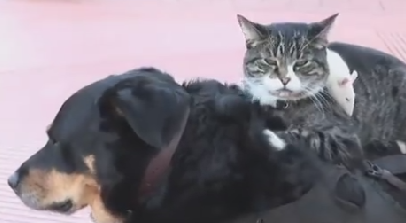 Cats and especially dogs are bred furiously and with breeding, there also comes suffering. Some dog breeds (like pugs and bulldogs) where bred to a point they can't properly breath or even deliver their pups normally anymore, due to being so overbred. Countless health issues, due to breeding standards and pure breeding. Snakes are also bred, and that also comes with some issues but again_ NO comparison to the craze that one can find with what happens to dogs. You see: there is a LOT of suffering involved when it comes to dog/cat keeping and saying that keeping a snake causes a lot more suffering than keeping a dog/cat is just plain out wrong. But the truth here is: there is ALWAYS suffering involved in animal keeping, it doesn't matter which one it is, since the keeping of pets nowadays is a thing of luxury in the first place. Who keeps cats nowadays to get rid of rodents, who keeps a dog to guard the house or guide the sheep (if you're not a farmer, that is)? People who don't like dogs will take a cat. If they're allergic to cats, they go with a bird. If the bird is too loud, they might take a reptile. And if they can't cope with feeding rodents, they might choose a rabbit. Or a rodent. If you don't want to cause ANY suffering – well, then you might consider not getting a pet at all.